New tech challenge calls for use of artificial intelligence (AI) to make aircraft less costly and more eco-friendly. Innovators in the UK and Canada have been challenged to help aircraft reach unprecedented levels of performance in extreme weather and make them more eco-friendly by using artificial intelligence (AI). Start-ups and researchers will need to showcase ideas as to how AI could make aircraft more aerodynamic and cut down on ice build-up on the ground and in flight. It is hoped the new solutions, part of the UK-Canada AI Innovation Challenge, could cut costs for operators and make aircraft more eco-friendly by burning less fuel. Applicants will be invited to pitch their ideas directly to Bombardier and industry experts. The winner will have the opportunity to meet with Bombardier to explore a potential future collaboration. This is a unique chance for the best and the brightest minds in artificial intelligence to come up with revolutionary ways to help aircraft operators to burn less fuel and cut costs. The UK has unrivalled heritage and world leading expertise in both aerospace and AI, and our Industrial Strategy aims to build on that success in aerospace and make the UK a global centre for AI and data-driven innovation. Science and innovation has no borders, with most of the world’s best discoveries made through international and interdisciplinary collaborations. I have no doubt that working alongside Canadian researchers and innovators, UK experts will generate inspiring new approaches to this emerging technology. As part of a wider trade promotion visit to Montréal, the Department for International Trade’s Minister for Trade and Export Promotion, Baroness Fairhead will launch the Challenge in front of more than 100 notable figures from business, academia and government. The UK and Canada already enjoy a fantastic trading relationship which increased to £17.4 billion last year. I am therefore delighted to see initiatives such as this which will only help to further boost this relationship. British businesses are quickly earning a reputation as a world leader in AI, and it is clear that this innovation, combined with Canadian expertise, can produce yet another innovative step forward in the aerospace industry. The challenge, organised by the UK Science and Innovation Network (SIN) in Canada, Digital Catapult, Bombardier, and the Consortium in Aerospace and Research & Innovation in Canada (CARIC), will encourage skills sharing and trade opportunities between the 2 countries while attracting highly talented and motivated individuals. Artificial Intelligence holds promises of vast improvements in all areas of our industry: design, development, manufacturing and operations. Bombardier is collaborating with AI experts in Canada and the UK to realize these promises and apply these emerging technologies towards the development of the next generation aircraft and rail products. With this challenge, we are creating opportunities for a potential collaboration that could evolve our on-going research in icing dynamics and further improve the predictions of our simulation. Bombardier’s UK-Canada AI Innovation Challenge, led by SIN Canada and coordinated by Digital Catapult and Canada’s CARIC, builds on the 2017 Canada-UK memorandum of understanding on science, technology, innovation and entrepreneurship as announced last year by the Prime Minister. This is a unique opportunity for cutting edge tech start-ups to tackle a serious challenge faced by the aviation industry and apply innovative new approaches to a real world problem. We’re proud to be working with Bombardier, the UK government and the British Consulate in Montreal to launch this exciting Open Call to top tech talent and we urge companies from across the UK and Canada to apply. Industries across the UK and Canada use artificial intelligence to boost productivity and create high value jobs. 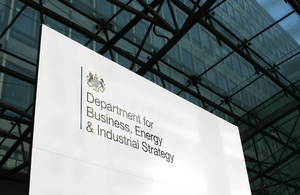 The modern Industrial Strategy sets out plans to make the UK a global centre for AI and data-driven innovation and the government has recognised the benefits of this growing sector in the Artificial Intelligence Sector Deal through the creation of the Office for AI. The AI Innovation Challenge has been funded through the Department for Business, Energy and Industrial Strategy with a £30,000 investment, with sponsors contributing £70,000. The aim of the Challenge is to engage a network of external innovators who will propose different solutions that an influential judging panel can review and select a winner. strengthen collaboration and knowledge transfer and trade/investment opportunities between the two countries. UK-based interested parties should visit the Digital Catapult website. Canada-based interested parties should visit CARIC website.
. Innovators challenged to use artificial intelligence to boost aircraft performance. 2018-09-07.